A professional website that turns browsers into buyers is the centerpiece of any online program. Your website should be more than a pretty online brochure. It also needs to be a tool to build credibility and turn site visitors into new customers. We understand this and carefully design every aspect of your site to balance beauty and conversion – all while keeping your specific preferences in mind. Despite the widespread use of smartphones today, many business owners fail to fully account for how their website appears on mobile devices. 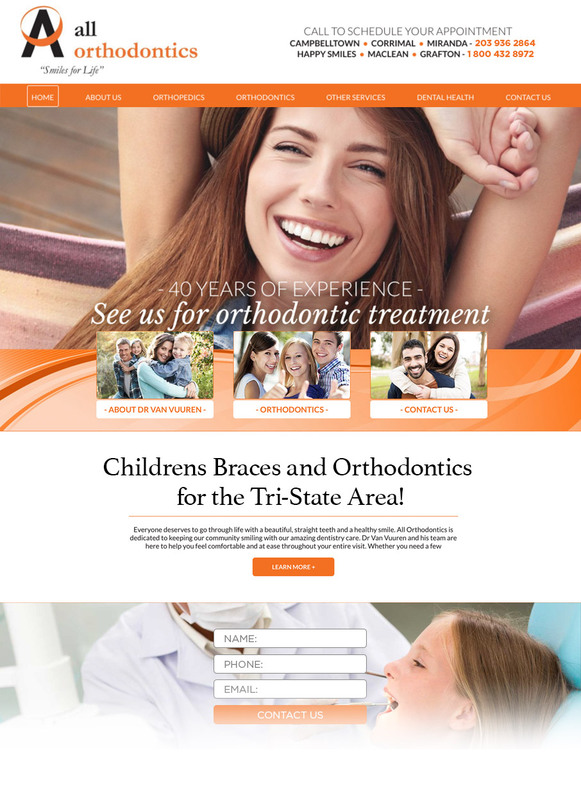 Our websites, however, are designed “responsively,” giving all site visitors a great user experience no matter the size of their phone, tablet, or desktop screen. You want your site found on top search engines like Google, Yahoo, and Bing. We get that. That’s why we create your site using SEO-friendly design and development techniques that help lay the foundation and accelerate any search engine optimization efforts you undertake once your site is launched. A lot goes into making sure your site works as hard for your business as you do. Your site is created using a series of best practices we’ve developed through deep experience with businesses in your industry. With 75% of small business inquiries coming via phone, it’s important your phone number is easily accessible on every page. A prominently placed web form helps maximize conversions of those who prefer not to call. The text of your site is written to be “keyword rich” to maximize your ability to show up on search engines. Your title tags and meta descriptions tell search engines what your site is about and how to show up in search engine results.